Student organizational chart shows the hierarchical relationship of graduate student management system. 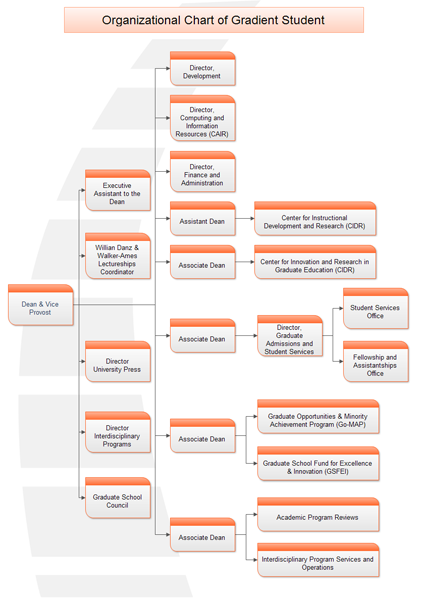 Below is an example of organizational chart shows the hierarchy of graduate student department. This template applies left-to-right layout style. You can also display it from top to down. This is as simple as 2 clicks. Try it yourself. Please click here to free download Org Chart Software. Then you can use the built-in templates to create and present your Organizational Charts in a short time.